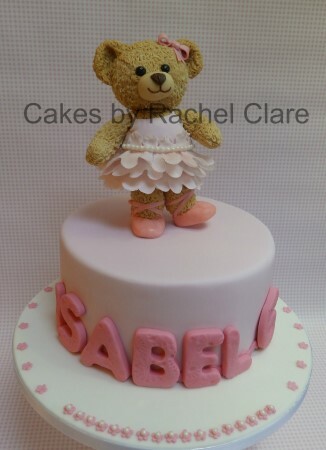 Previously known as 'Cakes by Rachel Clare', Cakework Creations has been in business since 2011, but Rachel's passion started when she made her oldest child's first birthday cake. Rachel's style is contemporary, and she specialises in making models, but she is happy to adapt any ideas to produce a fully personalised piece of cake art. Any of the cakes featured can be changed to your specification; they're really more of a starting point! Cupcakes and biscuits are also available to go with your cake, or just on their own. A range of delicious sponge and filling flavours is available, and you can mix-&-match as you choose. Cake flavours: vanilla, rich chocolate, lemon, coffee, carrot, raspberry, coconut. Buttercream flavours: vanilla-fudge, salted caramel, chocolate, coffee, lime, raspberry, mocha, coconut & lime. Raspberry jam, lemon and lime curd are also available. Please indicate your preferences at checkout. Delivering in Hallen, Portishead and around the Bristol area. All prices quoted include delivery.